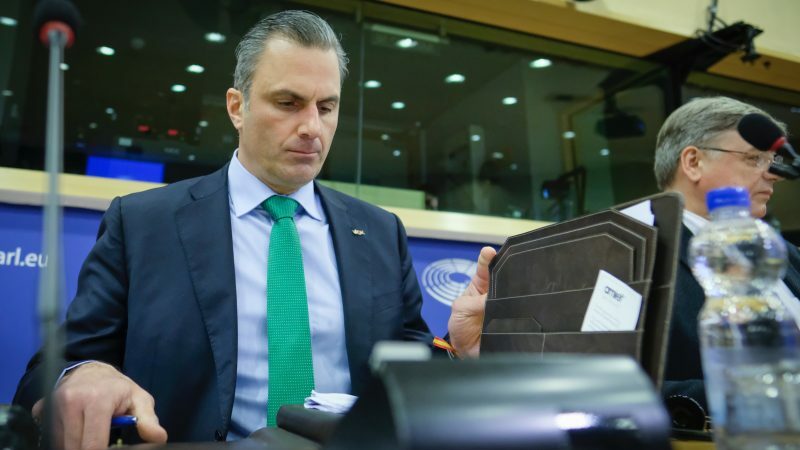 The Secretary-General of Spanish far-right party Vox defended the need to safeguard Europe by defending its nations against ‘Merkel, Macron and Soros globalism’ during an event in the European Parliament on Wednesday (6 March). “The best way to defend Europe is by defending every single one of the nations that form the continent,” Javier Ortega Smith told an audience full of supporters. 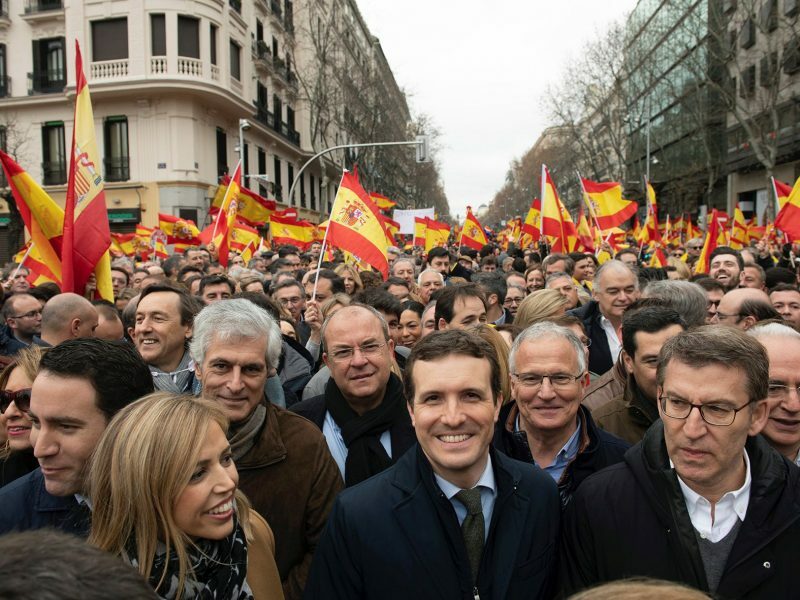 The ultra-nationalist Vox might be the first hard right-wing force to enter the Spanish Parliament since the re-establishment of democracy in the country in 1978, after forty years of dictatorship. 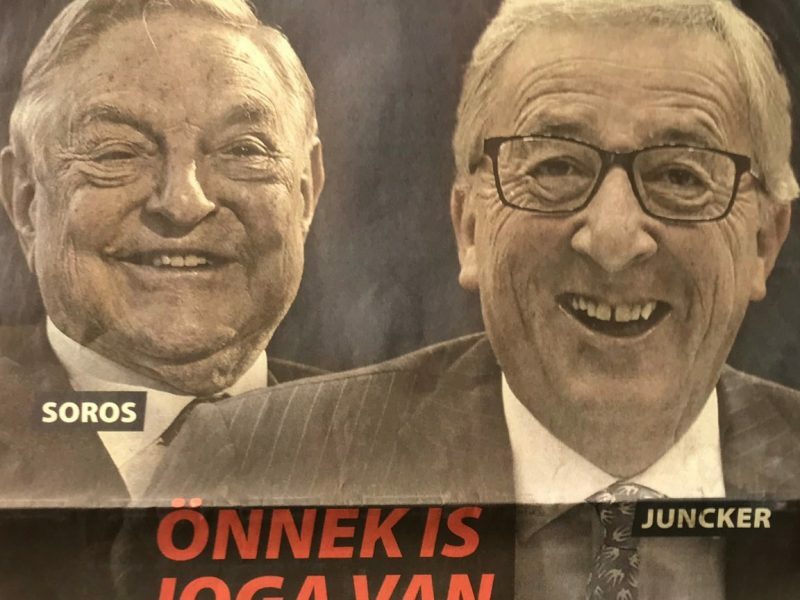 This narrative is very much in line with Hungarian Prime Minister Viktor Orbán, who blamed Brussels and Hungarian magnate George Soros for the spike in migration in Europe in the past few years. So, too, is the focus on the defence of the nation and Christian values. On Wednesday, the European Commission announced that migration to Europe has fallen to pre-2015 crisis levels. Unlike other far-right forces in Europe, Vox is not considered “anti-European”. However, during the event, Ortega Smith claimed that it is Europe, not the institutions, what needs to be defended, in a clear reference to the Union. The European Commission reacted strongly on Thursday (28 February) to a new anti-immigration campaign launched by Hungarian Prime Minister Viktor Orbán earlier this week by saying it “distorts the truth” and refuting most of its points. Vox arrived at the European Parliament to give their own vision of the situation in Catalonia, invited by Kosma Złotowski, a Polish MEP with the European Conservative and Reformists (ECR). The event took place only a few weeks after another conference on the ongoing trial against the politician responsible for the unilateral declaration of independence of Catalonia was banned, under allegations of security concerns. Former Catalan president Carles Puigdemont, who fled Spanish justice persecution in Belgium, was one of the speakers. Jordi Solé, MEP for Catalan separatist political party Esquerra Republicana de Catalonia (Greens/EFA), addressed the media ahead of Vox’s event in the Parliament. Solé denounced the “double standards” of the European Parliament when deciding which events can or cannot take place. “I think it is wonderful to debate on Catalonia from different perspectives as many times as it is necessary,” Solé told the press. However, he did not appreciate that the presence of the “legitimate representatives” of the Catalan people was a security concern but not an event hosted by the far-right. Galician nationalist MEP (Greens/EFA) Ana Miranda, however, admitted they had tried to stop the event from taking place until the very last moment. “We don’t appreciate the presence of Vox here, a xenophobic, racist, homophobic political party that is spreading hatred,” Miranda argued. “It is a disgrace for this chamber,” she claimed. European People’s Party MEP and Vice-President of the European Parliament, Ramón Luis Valcárcel, said he “shared the concerns” that Vox might “tarnish the reputation” of the institution. “We firmly believe that Europe must be a space of rights for all the people,” the protestors told EURACITV. “But Vox is late, Spain and Europe are feminist already,” they claimed. This is not the first time European Parliament workers have stood up against Vox. Following the agreement between the Spanish People’s Party (EPP) and Ciudadanos (ALDE) with the far-right to form a government in the region of Andalusia, members of the Me Too movement in the chamber gathered in Strasbourg to show their concerns over the misogynist narrative of the party. 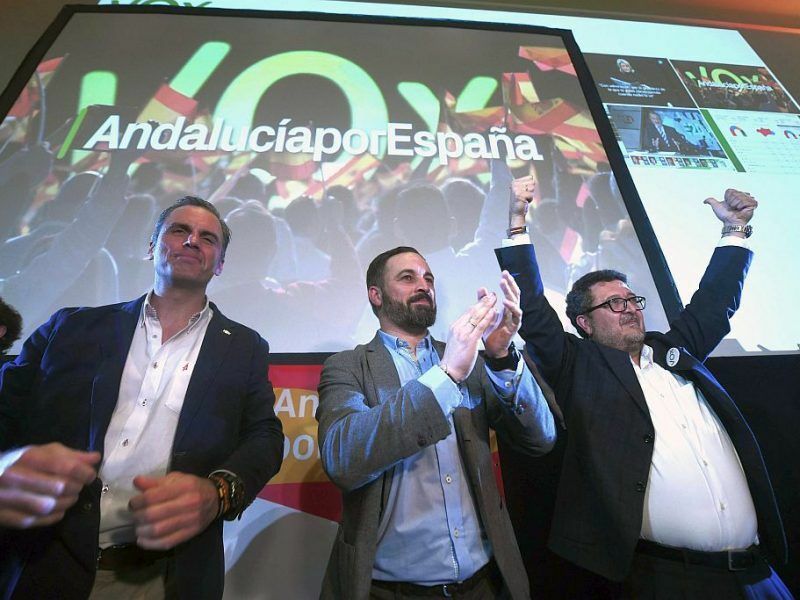 Recent polls show that Vox will not only enter the Spanish Parliament but will soon win seats in Brussels as well, though it’s unclear which political group they might join. The Vox secretary-general Javier Ortega Smith explained that during his trip to Brussels, he held several meetings with potential political groups Vox might be welcomed to join but added a decision would be taken only after the elections. The Europen Conservative and Reformists could be an option of Vox, as they will be joined by ultranationalist Debout la France and Forum for Democracy in the Netherlands. Italian Lega, led by Matteo Salvini, has established strong ties with Poland’s Law and Justice party as well and could enter the group too. Vox shares with them their hardline policy towards migration and their nationalism. However, Belgium’s N-VA is also a member of the ECR. As the Flemish nationalists have been the main support for Catalan separatists in Belgium, it seems unlikely that Vox would like to share the group with them.